Honor your champions with this symbol of excellence! Our custom Bright Star Championship Rings are made with top-quality heavyweight Qualicast metal and are available in 7 sizes in bright gold or bright silver plating. Boasting 4 bezel styles and 15 stock event inserts and your choice of 8 synthetic stone colors. 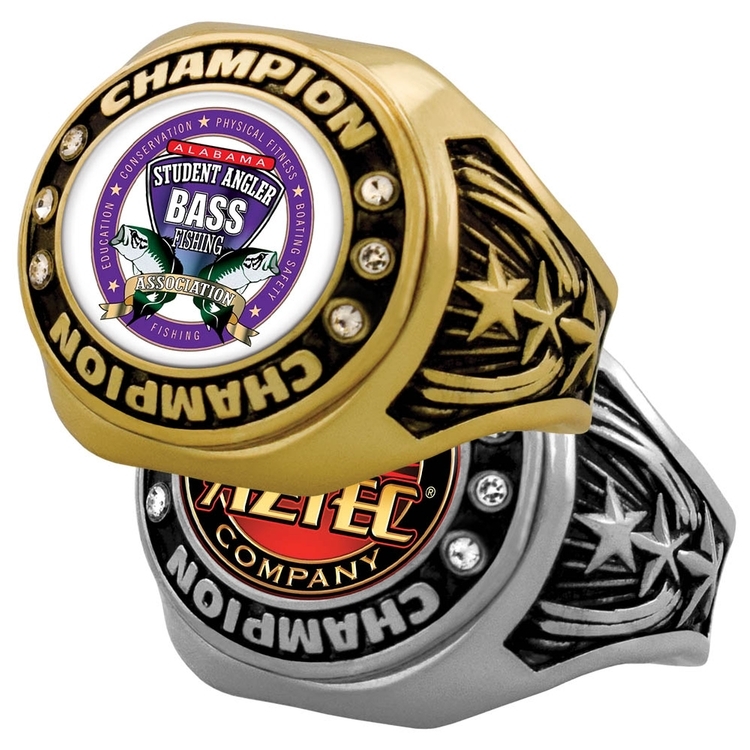 We can also add your logo, company name or special event to any ring with a customized with Insert label printed with the Vibraprint™ process and poly dome. Rings have been given out in professional sports since 1922, so keep up with tradition and reward the best!